Such a strong man and full of humor! I liked his joke when he turned around sitting the car. Now this is a truly inspirational story. A man who was born without limbs and has spent his life motivating others is now benefiting from all that good karma by marrying the love of his life. 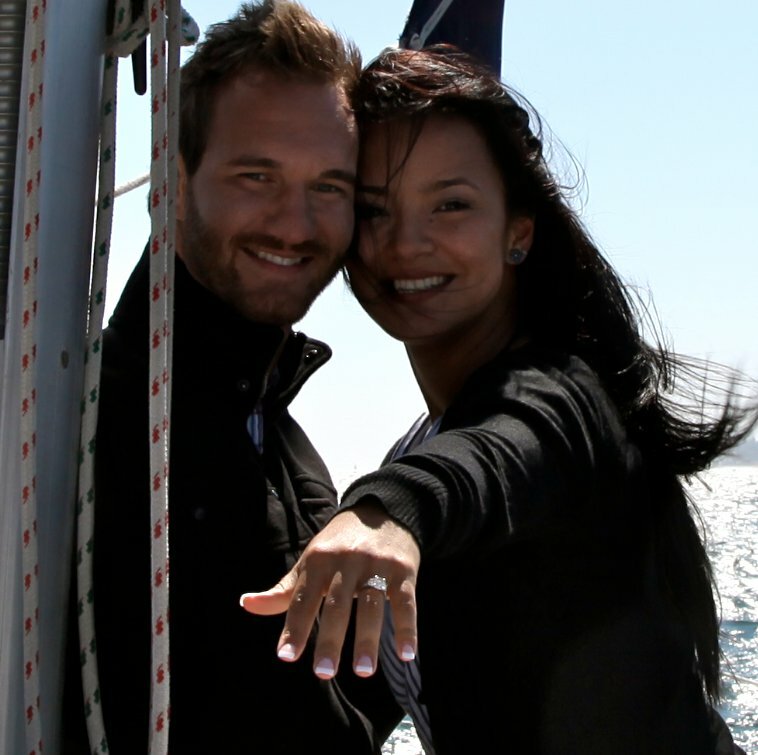 Motivational speaker Nick Vujicic married Kanae Miyahara on February 12 in a romantic ceremony in California, and now the happy couple are enjoying their honeymoon in Hawaii. 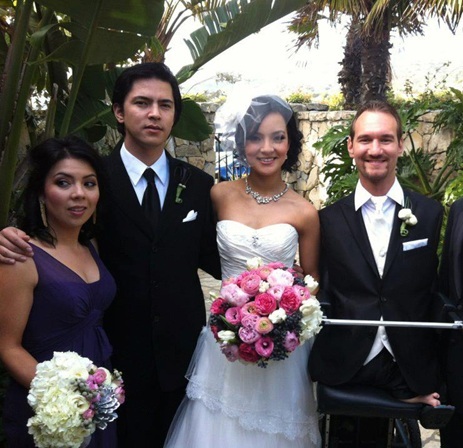 Following news of his engagement with his fiancé last August, Nick Vujicic, limbless Australian motivational speaker, got married with with Kanae Miyahara on February 10th in California. The newly-wed’s marriage is a witness to God’s amazing faithfulness and the goodness of marriage. On Nick’s Facebook page, fans from around the world poured in congratulatory remarks and comments expressing their joy from seeing and knowing this good news. Inspirational speaker and Life Without Limbs author Nick Vujicic was spotted on the beach in Hawaii recently, enjoying the sun with his new wife Kanae Miyahara.